In early July, Google announced that it will expand its commercially available cloud computing services to include quantum computing. A similar service has been available from IBM since May. These aren’t services most regular people will have a lot of reason to use yet. But making quantum computers more accessible will help government, academic and corporate research groups around the world continue their study of the capabilities of quantum computing. Understanding how these systems work requires exploring a different area of physics than most people are familiar with. From everyday experience we are familiar with what physicists call “classical mechanics,” which governs most of the world we can see with our own eyes, such as what happens when a car hits a building, what path a ball takes when it’s thrown and why it’s hard to drag a cooler across a sandy beach. Quantum mechanics, however, describes the subatomic realm – the behavior of protons, electrons, and photons. The laws of quantum mechanics are very different from those of classical mechanics and can lead to some unexpected and counter-intuitive results, such as the idea that an object can have negative mass. In our regular lives, we are used to things existing in a well-defined state: A light bulb is either on or off, for example. But in the quantum world, objects can exist in a what is called a superposition of states: A hypothetical atomic-level light bulb could simultaneously be both on and off. This strange feature has important ramifications for computing. The smallest unit of information in classical mechanics – and, therefore, classical computers – is the bit, which can hold a value of either 0 or 1, but never both at the same time. As a result, each bit can hold just one piece of information. Such bits, which can be represented as electrical impulses, changes in magnetic fields, or even a physical on-off switch, form the basis for all calculation, storage, and communication in today’s computers and information networks. Qubits – quantum bits – are the quantum equivalent of classical bits. One fundamental difference is that, due to superposition, qubits can simultaneously hold values of both 0 and 1. Physical realizations of qubits must inherently be at an atomic scale: for example, in the spin of an electron or the polarization of a photon. Another difference is that classical bits can be operated on independently of each other: Flipping a bit in one location has no effect on bits in other locations. Qubits, however, can be set up using a quantum-mechanical property called entanglement so that they are dependent on each other – even when they are far apart. This means that operations performed on one qubit by a quantum computer can affect multiple other qubits simultaneously. This property – akin to, but not the same as, parallel processing – can make quantum computation much faster than in classical systems. Notwithstanding the difficulty of building working quantum computers, theorists continue to explore their potential. In 1994, Peter Shor showed that quantum computers could quickly solve the complicated math problems that underlie all commonly used public-key cryptography systems, like the ones that provide secure connections for web browsers. A large-scale quantum computer would completely compromise the security of the internet as we know it. Cryptographers are actively exploring new public-key approaches that would be “quantum-resistant,” at least as far as they currently know. 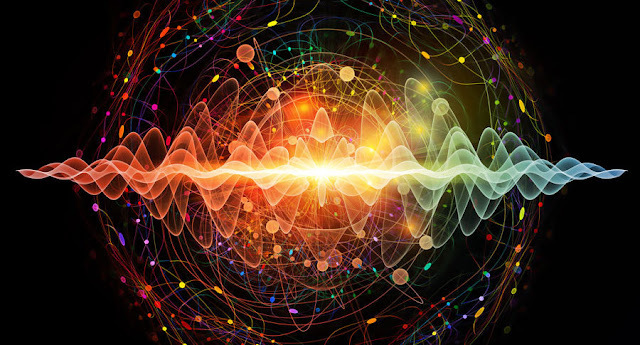 Interestingly, the laws of quantum mechanics can also be used to design cryptosystems that are, in some senses, more secure than their classical analogs. For example, quantum key distribution allows two parties to share a secret no eavesdropper can recover using either classical or quantum computers. Those systems – and others based on quantum computers – may become useful in the future, either widely or in more niche applications. But a key challenge is getting them working in the real world, and over large distances.